Our frontline personnel make "customer satisfaction" a top priority. They pay close attention to the preferences of individual customers in order to fulfill their actual needs. A cheerful greeting. A friendly smile. These seemingly trifling substances are powerful evidences of the degree of sincerity our staff inject into customer services. They are symbols of the renowned "heartfelt services" of Café de Coral. 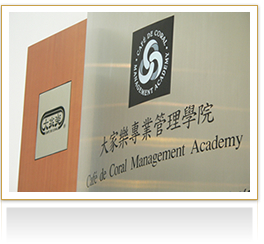 Café de Coral has established the "Café de Coral Management Academy" as its training headquarters. The institute organizes regular training activities for employees to strengthen their skills and put team spirit into practice. We also review the service attitudes and performance of staff through an objective "mystery shoppers" program. This practice helps enhance the quality of our services. At Café de Coral, we believe that customer satisfaction begins with walking in the shoes of customers with the finest details bore in mind. We rely on all members of our staff to fulfill such a task. Their dedication and infinite attention to details have facilitated a number of pioneering measures in the industry, rendering Café de Coral fit for an ideal dining place. Replace oral announcement with ticket number display to achieve a tranquil dining environment. Lower service counters to facilitate pick-ups of ordered food. 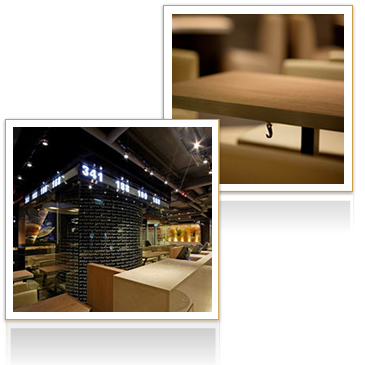 Attach hooks to table edges to facilitate customers with handbags. Lidded dine-in food packaging to keep the food warm. Install high chairs children's comfort as well as to ease parents's mind. Set up takeaway counters and chairs for the queue ups. Service ambassadors help delivery food for customers. Complimentary tea for customers in waiting. Plasma TV and melodic background music to enhance in-store audio-visual enjoyment. Direct data transmission between cashiers and kitchens for better and more efficient operation. Customers no longer need to submit order tickets to service counters. Cashiers hand over order tickets and changes with both hands.